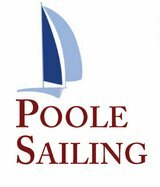 This page contains links to other websites having various information relevant to Sailing and Racing. Note; We are not responsible for the content of external websites. Try hitting the “More” button on the “Forecast Poole” and “Poole Entrance Tide Times on the side bar. Yacht Pilot Website – Free pilot guide which gives advice on safe pilotage, lock opening times etc.